Located in Kenwood, CA on Hwy 12 and south of Sonoma. A family boutique, quirky winery owned by Robert and PJ Rex. Don’t be deceived from the outside appearance, fun awaits inside the cave. I happened to visit on a very hot summer day. 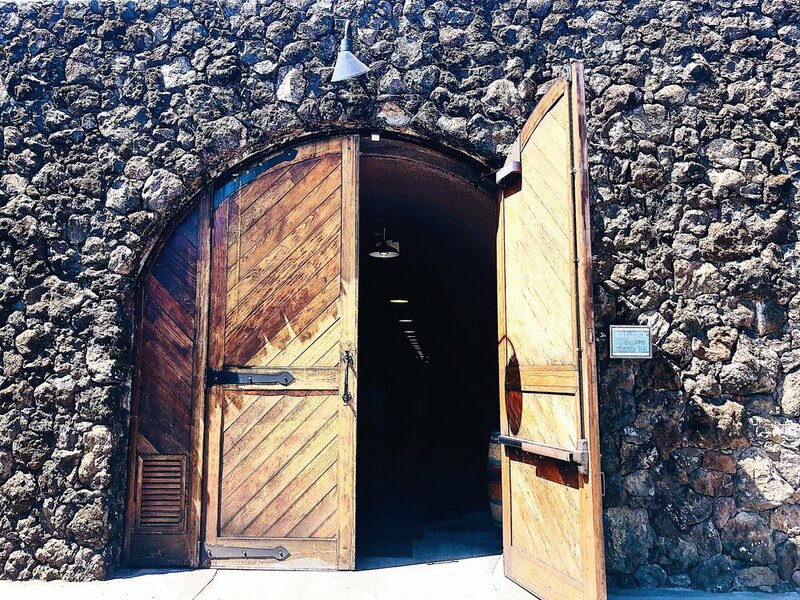 Walking into the immense, cave/tasting bar/barrel room was a breath of cool air. While sipping, enjoy the work of a featured local artist displayed on the cave walls. Relax. Lean on the wine bar or sit on an overstuffed couch, while talking about wine. Tasting Fee: $20pp for 5 wines; fee waived with a three bottle purchase. 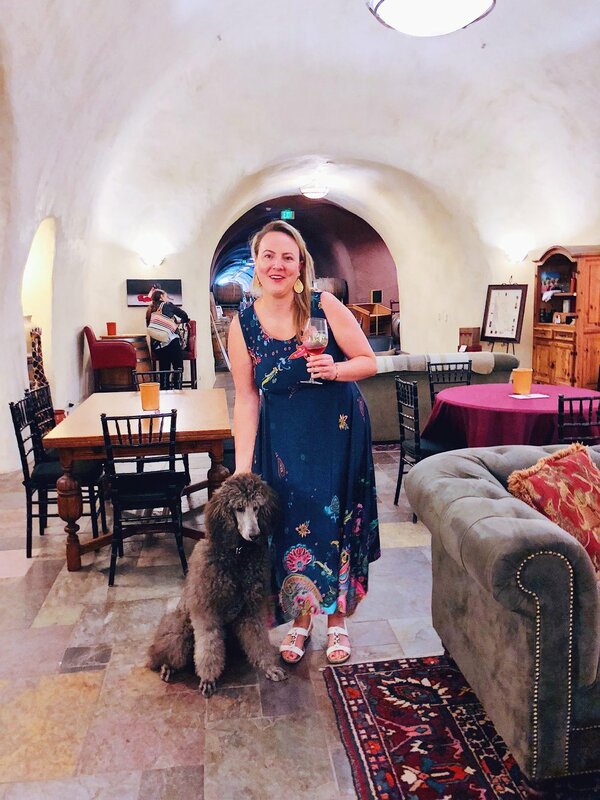 The wine dog, Obi Wine Kenobi, a magnificent grey standard poodle. May All Fours Be With You, in reference to their love of all things Star Wars. Known for innovative wine blends. Cabernet, Malbec, Zinfandel, Petit Verdot, and dessert wine. Deerfield is one of only three certified organic wineries in Sonoma. Robert Rex strives to rid his wine of histamines, often causing of headaches. Deerfield wine also has low levels of sulfite, often causing an allergic reaction. Low sulfates and few histamines mean you’re drinking “clean wine”! Robert Rex is a mustached-wine-scientist! He is a chemist, graphic designer, a gourmet cook, and delights in fixing things. 2018 marks his 47th year of wine making. This is the winery that has personality in addition to exceptional wine.